My primary areas are Chandler, Gilbert, and Scottsdale... But I serve the entire valley! Liz Harris, MBA has a passion for real estate. Whether working with Arizona new home buyers, short sale listers, first-time buyers, or luxury home buyers, Harris guides her clients through every step of the real estate process, providing information with enthusiasm and superior service. She is a highly respected agent and is always taking the time to further educate herself to impart the information to her clients in this rapidly changing real estate market. 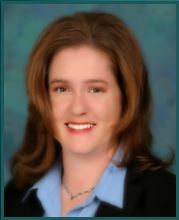 Resident of Maricopa County, Arizona since 1999, Liz Harris, MBA has made a name for herself in the Real Estate market. Harris is a staple in her community and recognized by thousands. Harris goes the extra mile whether it is finding buyers for her listing or placing a buyer in a dream home.